HOLLYWOOD – Continuing our popular series, Desert Island Police Academy in which we ask celebrities which Police Academy they’d take with them if they were stranded on a Desert Island. This week Her, We Bought a Zoo and Under the Skin actor, Scarlett Johansson. 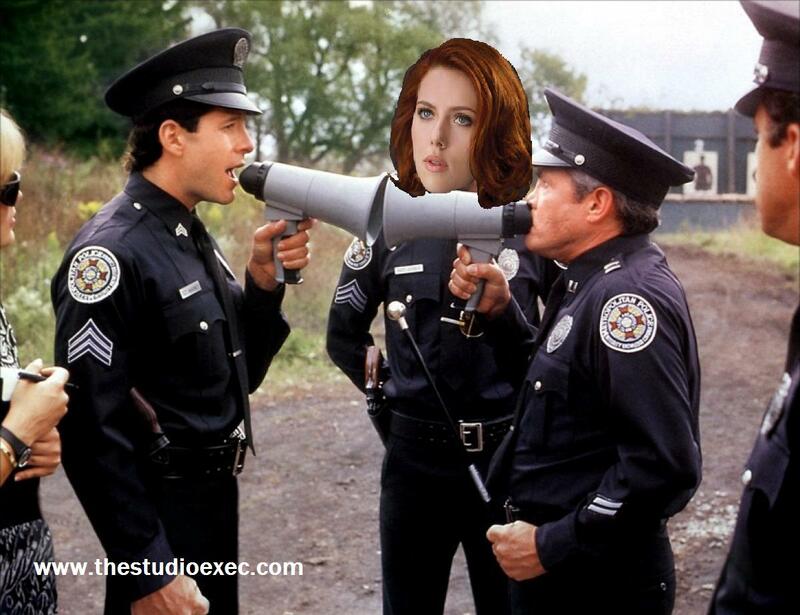 So Scarlett, which Police Academy movie would you take with you on your desert island? I think it would have to be the very first. The concept is fresh, Steve Guttenberg gives the performance of his career and the whole ensemble feels genuinely at ease with each other. The comedy comes thick and fast, as in the best Airplane tradition, but the characters are also there and you genuinely learn to care about them. This is a comedy with a heart of gold. On this desert island what kind of facilities are there for watching discs? And are we talking Blu-Ray or DVD? We thought we’d go old school with a VHS player and a cassette. So there’ll be a TV set. And presumably a power supply? Nice. Will there be other films to watch? Just the first Police Academy? You really are using 100% of the potential of your brain. I had to learn to use 100% in order to be utterly convincing as Lucy in the Luc Besson film Lucy. For more Desert Island Police Academy click here.